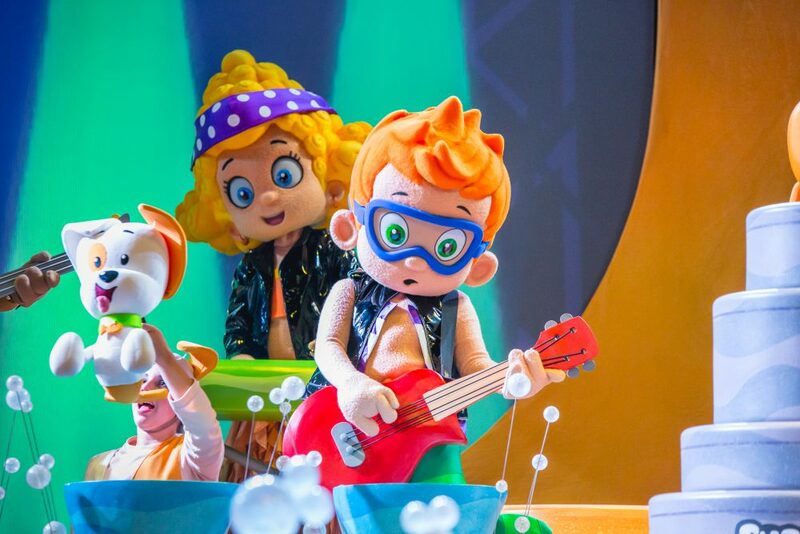 Are You Ready To Rock With Bubble Guppies Live In Toronto? Yesterday on Facebook I hinted that I had something amazing coming. Well folks, the time has come to let you all in on the secret. Bubble Guppies Live! Ready to Rock is coming to Toronto on April 29th for two amazing shows! Bubble Guppies Live! Ready to Rock was Bella’s first live show she ever attended. We attended the show back in 2015 when Bella was almost 2-years-old. She was obsessed with Bubble Guppies then and is still obsessed with them now. I was unsure how she would react to the show being so young. She absolutely loved it and was in awe the whole show. We will be attending the show again this year with my sister and nephew. I can only imagine all the excitement and fun that will be had. 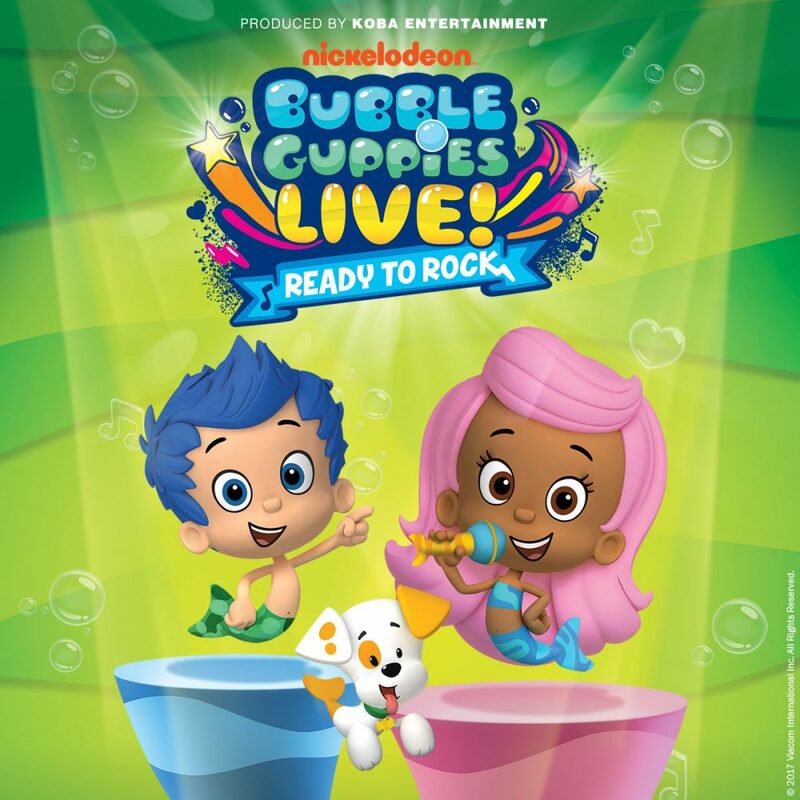 Koba Entertainment and Nickelodeon are proud to announce their continued partnership with the live theatrical production of Bubble Guppies Live! Ready to Rock. Based on Nickelodeon’s hit TV show, the live tour will visit Toronto, at Queen Elizabeth Theatre on April 29. When the Bubble Guppies are getting ready to rock n’ roll with everyone’s favourite tunes, a special band member goes missing and the show can’t go on! With help from Mr. Grouper and giggly little fish, Molly, Gil and the whole gang embark on a musical expedition as they search every corner of their bubbly world for their friend. Featuring music, comedy, and audience participation, the Bubble Guppies will have to leave no stone left unturned and no bubble left un-popped in order to get the show on the road. “Put on your water-wings and get ready to dive into a swimsational musical underwater adventure,” says Patti Caplette, artistic director of the live show. Bubble Guppies Live! Ready to Rock is on tour in select cities in Canada. 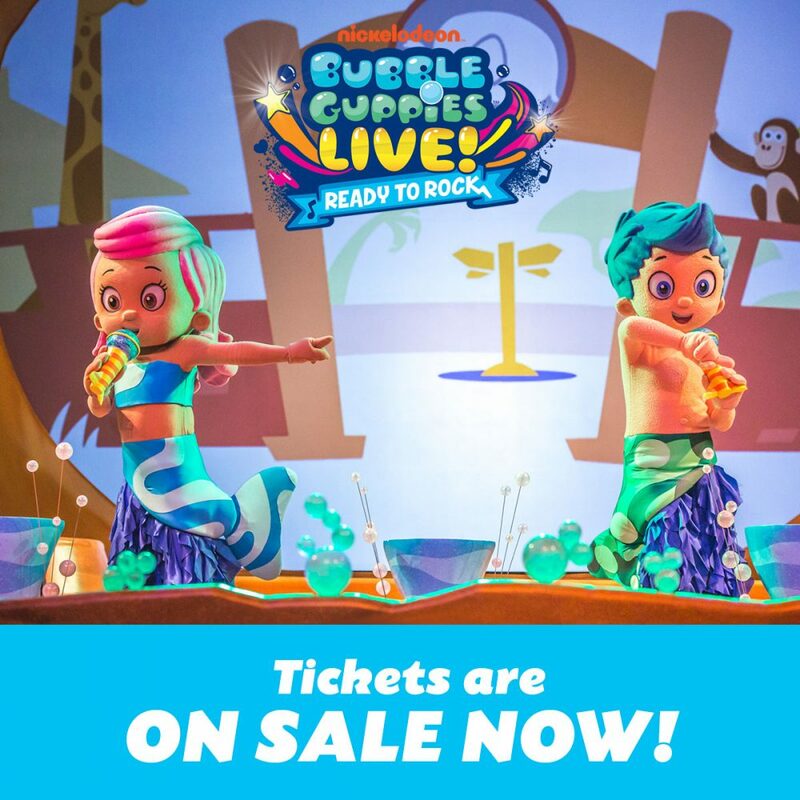 Tickets are on sale now so head over to http://kobaentertainment.com/shows/bubble-guppies for all the details on the shows and to get your tickets! I have teamed up with the folks at Koba Entertainment for this awesome giveaway. One lucky Extreme Couponing Mom reader will win a Family Pack of 4 Tickets to Bubble Guppies Live! Ready to Rock. The tickets are for the Toronto show on April 29, 2017 at the Queen Elizabeth Theatre at 4pm! Enter the giveaway using the form below. Entries are verified prior to drawing a winner. The winner will be randomly drawn from all eligible entries on April 17, 2017. If selected as the winner you will be contacted via email and will have 24 hours to respond. PLEASE NOTE: THE FIRST ENTRY ON THE FORM IS TO LEAVE A COMMENT ON THIS BLOG POST. PLEASE ENSURE YOU SCROLL DOWN TO THE BOTTOM OF THIS PAGE UNTIL YOU SEE THE COMMENT BOX TO WRITE YOUR COMMENT. THANK YOU! IMPORTANT: This giveaway is for the Toronto show on April 29th at 4pm. If you cannot attend the show on that date and for that time please do not enter the giveaway. The prize is NON-TRANSFERABLE. The tickets will be left at will-call in the winners name and you will have to show proof of identity to pick up your tickets. Disclosure: Although this post has been sponsored by Koba Entertainment, the opinions and language are all my own, and in no way do they reflect Koba Entertainment. Any product claim, statistic, quote or other representation about a product or service should be verified with the manufacturer, company, provider or party in question. My kids would love to attend this show! My daughter turns 3 on April 15th and this would be a great birthday gift! She loves bubble puppy!! My daughter loves Bubble Guppies. I would love the opportunity to take her to a live show with her equally obsessed cousin! Both my kids loves the Bubble Guppies. My daughter, 4, loves Molly as they both love to sing and my son, 7 (yes 7) loves Nonny and says Nonny reminds him of himself, because they both where glasses and they both like science…..
My boys love Mr. Grump fish. They think he is funny. My daughter loves Molly! She has a little doll and she doesn’t leave her sight! She’d love to go. My daughter loves Goby, she is absolutely obsessed with this show. I would love to take her as it would be her first time to any type of show like this. So exciting ! My daughter’s favourite is Molly!! My 2 year old daughter loves Molly! We would love to go and see Bubble Guppies! My daughter loves Bubble puppy and Molly. She hasn;t watched for awhile, but she loves seeing live shows. My son loves Mr Grouper!! Thanks for this awesome contest! My son, 3 on April 28th loves bubble puppy! This would be so much fun! My son is obsessed with the Bubble Guppies!! He gets so excited when it comes on!! Would love to take him. Would love tickets, my kids love Molly! My son loves bubble puppy! hoping to win for my niece & nephew!! 😊they love bubble guppies! My daughter would absolutely LOVE this!! Her favourite show, and I have to say mine too!! Yes my son dances and sings everytime this show comes on! Was looking to take him but couldn’t afford to this time around!! Help us win some tickets!! Both of my boys really love Bubble Puppy! Huge Bubble Guppies fans in my house. Both my boys would love this! Yay Bubble Guppies!! 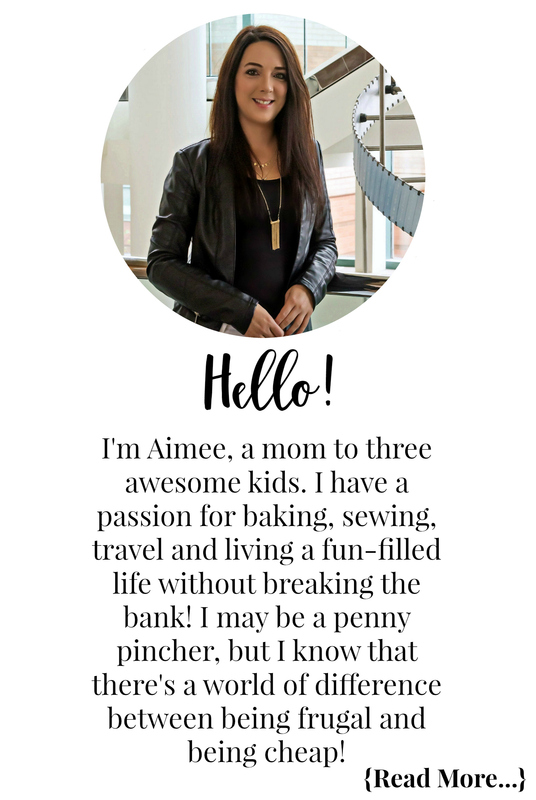 My daughter is their biggest fan – she would go bananas for this! Our daughter would love to see the bubble guppies. When we had to do procedures on her for the hospital we would always put on this. She loves Gill and loves to sing What time is it. My daughter’s favourite Bubble Guppies Character is Molly. My two girls love Molly! they like Molly she’s sweet. My kiddo’s favourite is Molly! But I think her favourite part of the whole show is the theme song!!! Lol! She goes around singing that all day long! My kids love Bubble Guppies! They’d love to attend the show! And they love Molly and Bubble Puppy! Would I be the best Auntie Michelle EVER!! Bubble Guppies Molly and Bubble Puppy and Gil.. we love them all!!!! My 1.5 yr old loves this show. my granddaughter loves bubble puppy best.